Chidlom is where shopping and relaxation meet. 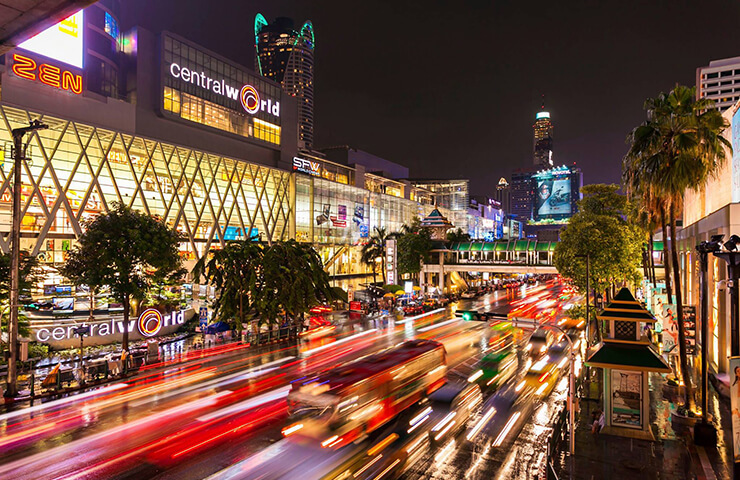 The area is home to some of the best department stores in the country, and the best deals can be found at Central Chidlom or Central World, that both have seasonal sales for many premium brands. A not-so-well-known department store, which has a lot of good food and retailers, is Amarin Plaza. Here you can go get some personal tailoring done at RJ UOMO or head up to the food court which covers nearly the entire top floor. The best part about the various department stores is that they are connected by the BTS skywalk and can be accessed easily. If you feel you would prefer the great outdoors, Lumphini Park is a 142 acre park filled with trees and open spaces, and it also contains an artificial lake in the middle, where you can rent a paddle boat and get a bit of exercise as you enjoy the sights or feed the hungry fishes. The largest hospital in South East Asia is less than a kilometer away. Bumrungrad’s medical services are available to an international standard, and medical tourism has become a popular activity among our guests. Centre Point Chidlom offers you the best of urban living in Chidlom, along with peace and serenity of Soi Langsuan. It overlooks Lumphini park and is within walking distance to major department stores (Central World), the BTS lines (Silom and Sukhumvit Lines), attractions (Patpong Night Market) and retail stores (Big C). Some good eats are also situated right next to us, with a few being right in front of our hotel. If you needed to use the MRT line, it is right across Lumphini park. 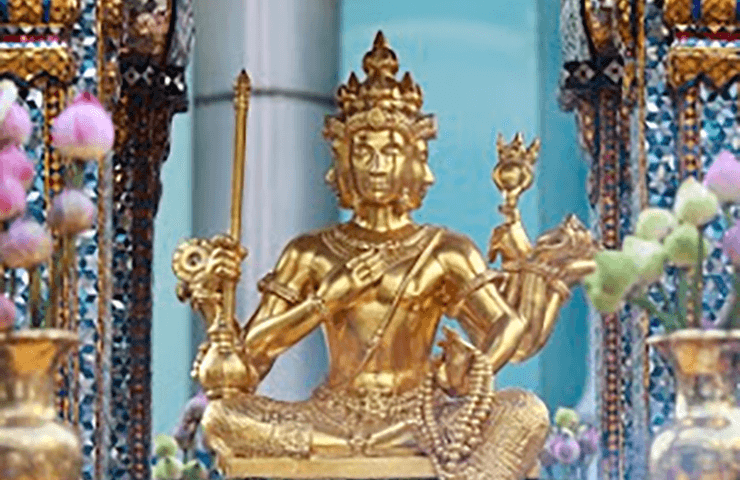 Staying with us in Chidlom helps connect you to nearly all of Bangkok. The largest department store in Thailand, CentralWorld is situated in Chidlom and easily accessible by the skywalk at Ratchaprasong junction. It is so large that it even has an ice-skating rink inside! All the standard shopping mall elements can be found too, along with multiple superstores, a cinema and much more. There are many 4 faced Buddhas in Thailand, but the most famous is at Erawan Shrine, opposite CentralWorld. Being in such a central location, this shrine attracts more people than all the temples in Thailand. Watch some historical Thai performances, or just pay your respects at this shrine, situated right next to BTS Chidlom. 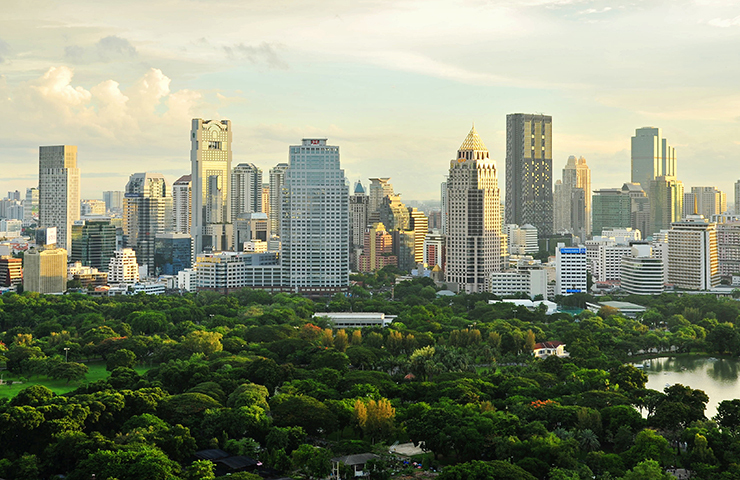 The third largest park in Bangkok is none other than Lumphini Park, more than half a million square metres being the habitat of various flora and fauna. This park has become a go-to spot for people looking to exercise, enjoy a picnic or play sports. There are also squirrels, birds and fishes that thrive here. This place is truly a green lung of the city with so many animals, trees and plants everywhere. Rent bicycles or take a boat and explore. Buy some fish food from the street vendors and feed fishes by the lake or join in on an aerobics class with a large group of people.